You can do Global MBA with Last Semester Abroad in Europe along with Three Global Certifications from G8 Nations. Short-term investment, life-long return, on your schedule. Compared to a traditional two-year programme, the ISMS Bangalore Global MBA & Consortia programs provides a faster return on investment. It can be started two times in a year, either on campus or online (or both), offering the unique opportunity of fitting corporate aspirants and today’s professionals’ need for freedom and flexibility. The programme is structured to enable you to continue to work and study for your MBA ,connecting what you learn to current global and relevant organisational issues. This is ideal if you are able to take significant time to study and want greater exposure over how, when and where you achieve your global certifications with a semester abroad in Europe. Along with MBA you will do GBL. It is designed for professionals interested in broadening their global outlook and their worldwide network. Every module here is taught from a global perspective, which prepares you to lead and manage people across borders and across all levels of an organization. This program goes beyond the traditional business degree, offering you comprehensive instruction in global management disciplines, as well as cross-cultural communications, negotiations and international business leadership & strategy. The GBL is a 80-credit hour on-campus program that provides an in-depth study of the global political economy, leadership, strategy, negotiations and cross-cultural communications skills needed to successfully lead international teams, functions and organizations. Live Projects from Germany: This Real Business Project is hands-on learning experiences in a focused business area and in a particular region of Germany, composed of online training, Business Processes, Transcripts, site visits, high-level meetings and presentations with local businesses, cultural leaders to learn what makes doing business in the region unique. Germany Projects equips you with the Business Process Engineering and software knowledge & skills to lead in the volatile global marketplace. With training that go far beyond the typical business-school curricula, Germany Trainers & Faculty deliver up-to- the-minute, real-world training in the intricacies of doing business in today’s interconnected world economy of Germany and or in any other part of the world also. 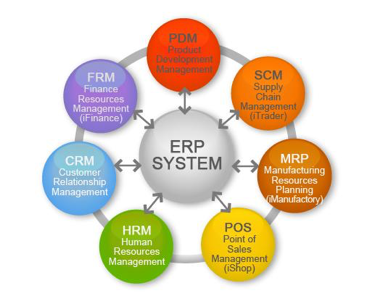 Distribution process management, supply chain management, configure, prices, improve accuracy , facilitate better project planning, automate employee life-cycle, standardize critical business procedures, reduce redundant tasks, assess business needs, accounting , lower purchasing costs, manage human resources and payroll.ERP modules help an organization's administrators monitor and manage supply chain, procurement, inventory, finance, product Lifecycle, projects, human resources, customer relationship, business intelligence and other mission-critical components of a business through a series of interconnected executive dashboards.